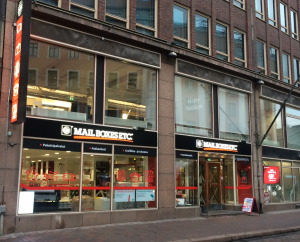 MBE Helsinki 001 offers a full range of office services in Helsinki. When you have important items you need to be delivered across the state, nationwide or around the world, we are the trusted business partner you're searching for. We print and install a full range of signage for shops, cafes, restaurants and businesses including vinyl, wallpaper plus laser cut letters and decals. 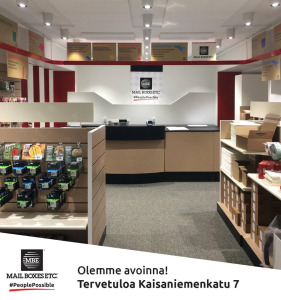 But we are experts not only in large format printing but also we can design and print your business cards, flyers, brochures!